Posted on May 8, 2012	by Katy K.
Storybound by Marissa Burt. Here is a book that called out to me from the shelf with its beautiful cover. It looked to have many things going for it – a lonely girl sucked into a strange magical world, a world where people study to become characters in books. Yay lonely girls, magic and metafiction! It was fun, but somehow not quite as perfect for me as I was hoping, in ways that I’m still trying to put my finger on. Una Fairchild has grown up bounced from one uncaring foster home to another, with no real memory of her parents. She is sucked into a book in her library, and arrives as Peter Merriweather and Lady Snow are taking a journey and trying to fight a dragon. Peter is trying to fight the dragon, anyway – Snow is busy taking care of her nails and giving Peter directions. Horrified, Una pulls the dagger that’s now in her belt and leaps into the fray. Unfortunately, it turns out that this was an exam. Peter and Snow are students at the Perrault Academy, learning to be storybook characters. They are allowed to choose from a set list of characters. Here, Peter was testing as a Hero and Snow as a Lady. Una’s well-met interventions have resulted in everyone failing the exam. Somehow, Peter turns out to be friendly despite the failed exam. He determines that Una must be Written In to the story, something that hasn’t happened since the Muses were ostensibly destroyed at the (not too far distant) end of the last era. Una’s fate would be dire if she were found, so she pretends to be a transfer student and is assigned to room with Snow. Meanwhile, she’s trying to figure out just what is going on, and since she’s the curious type, this includes wondering what the true history of Story (the country) is, whether or not the Villainy professor is really a villain, what really happened to the Muses, why all the books are locked up, and if there is a mythic King on the way or not. By the end of these books, many of these questions are still unanswered. It turns out to be the first installment of a series, of the kind where the first book is building up so much complex background that it didn’t for me stand very well on its own. 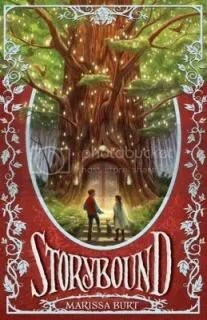 The book ended with two major characters kidnapped and unrescued, and there was a jarring switch in the last couple of chapters from Una partnering with Peter to her partnering with another boy who’d been mysteriously following her around earlier in the book. I liked the basic premise of the book, and the characters seemed solid, but I think that there was too much crammed into one book with too little resolution for me to enjoy it as much as I wanted to. Perhaps the middle grade readers for whom this book was intended will find these flaws less glaring and be able to enjoy it more. This entry was posted in Uncategorized and tagged metafiction, youth fantasy. Bookmark the permalink.